After Hong Kong’s promise of the highest hotel by March when it will occupy floors 112 to 118 of the International Commerce Centre, Shanghai leaps a little higher for the same glory. 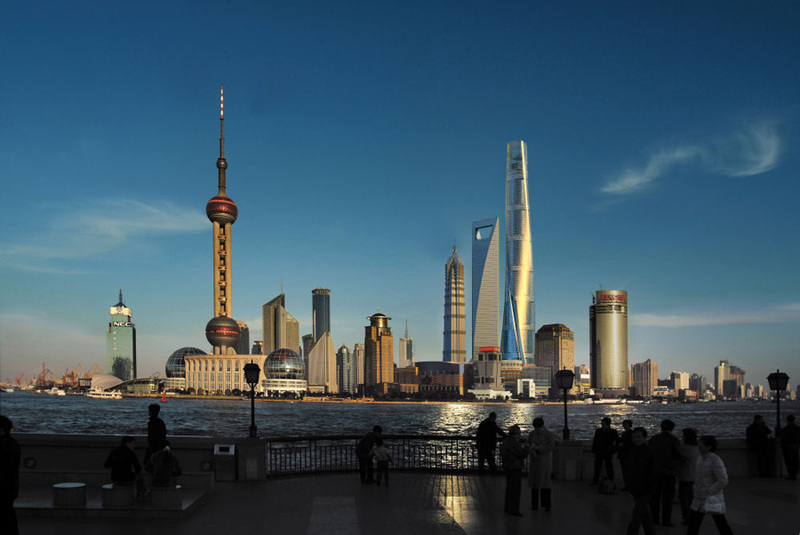 By 2014, the Shanghai Tower J-Hotel will be the tallest building in China, the second tallest in the world and the highest hotel in the world. Due to open in 2014, the new Shanghai Tower J-Hotel is the centerpiece of the stunning Shanghai Tower, The super-tall, 632-meter Tower is sited in the heart of Shanghai’s Lujiazui finance and trade zone, adjacent to the Jin Mao tower and Shanghai World Financial Center. A 128-stories tower is designed by Marshall Strabala, the Houston-based architectural designer, who was designed three of the world’s 10-tallest buildings, including the Burj Dubai, the world’s tallest building and the 420-meter (1380 feet) Nanjing Greenland Financial Center in Nanjing China. 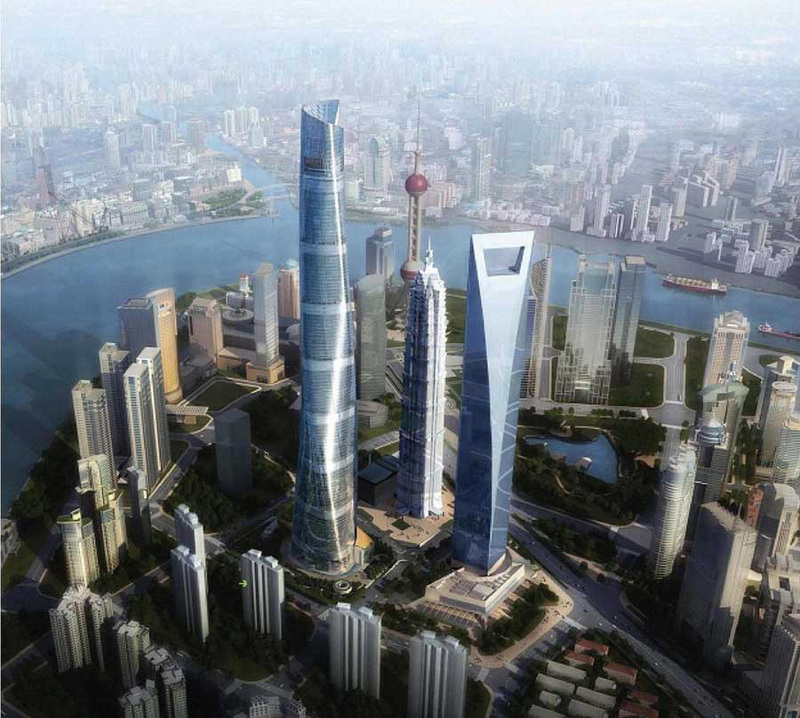 Shanghai Tower is organized as nine cylindrical buildings stacked one atop another. The inner layer of the double-skin façade encloses the stacked buildings, while a triangular exterior layer creates the second skin, or building envelope, which gently rotates as it rises. The spaces between the two façade layers create nine atrium sky gardens. 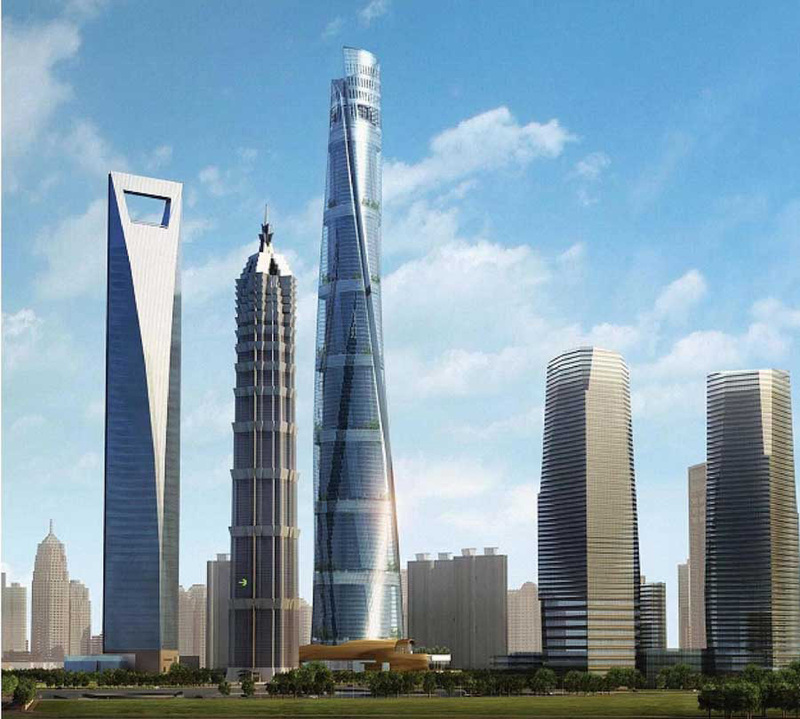 The tower, commissioned by Shanghai Tower Construction and Development Co., Ltd, will be the tallest in China with the highest open air observation deck in the world. Consisting of office space, a luxury hotel, retail and cultural venues the building will also hold connections to the Shanghai Metro and three floors of parking below ground level. 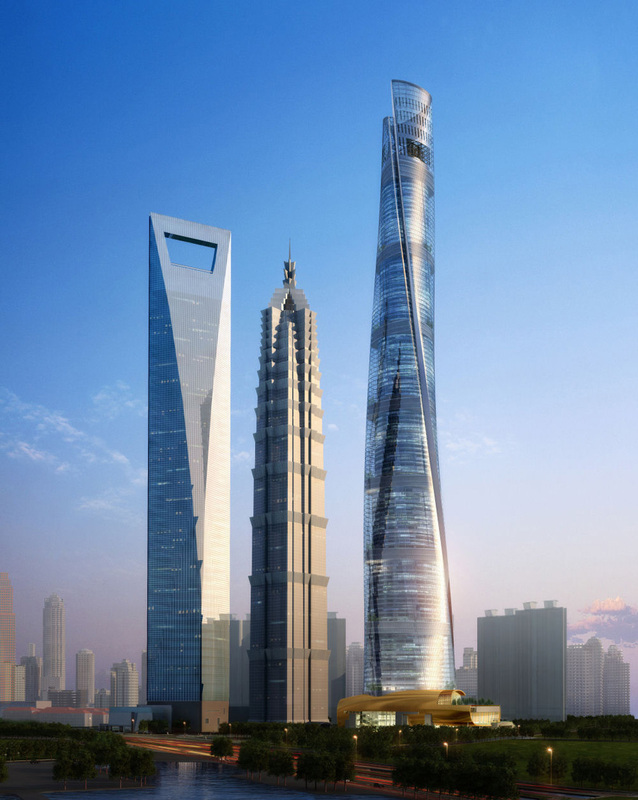 The establishment, a new brand of Shanghai Jin Jiang International Hotels (Group) Co., Ltd. (Jin Jiang Hotels), will span the 84th to 110th floors of the Shanghai Tower. The hotel will feature 258 luxury guestrooms with the hotel lobby located on the 101st floor. 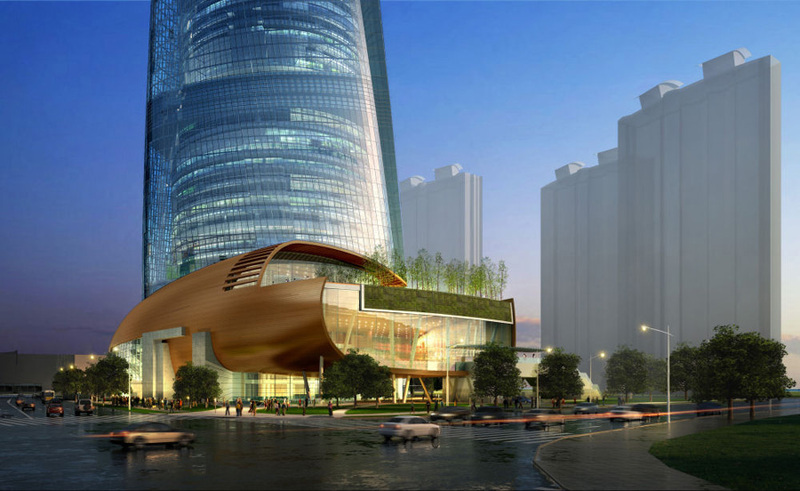 Jin Jiang Hotels said it will be the world’s tallest luxury hotel when it opens in late 2014 or early 2015, surpassing the Park Hyatt Shanghai, which currently holds the honor. The 828-meter-high Burj Khalifa in Dubai, which opened early this year, is the world’s tallest skyscraper. But its hotel, fashion designer Giorgio Armani’s first, only occupies the 160-level structure’s lower stories. 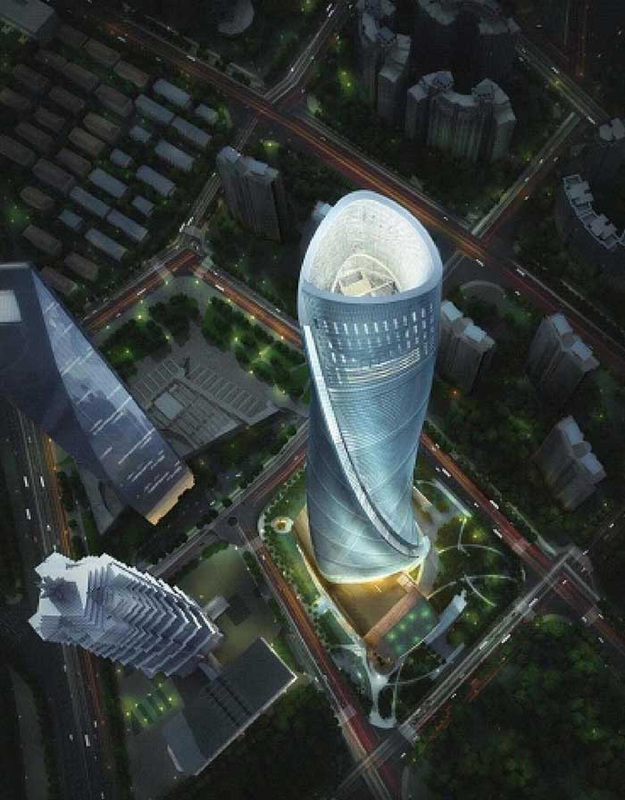 The Shanghai Tower J Hotel will also challenge the new Ritz-Carlton Hong Kong expected to open next year. Keeping up with an updated luxury theme, the hotel will display ultra-modern and uber classy blended with the richness of Chinese culture in its interiors. This is leading Chinese hotel group, Jin Jiang’s latest luxury brand and will be managed by Interstate Hotels & Resorts Company Limited, a wholly-owned subsidiary of a joint venture between US-based private equity real estate firm Thayer Lodging Group and Shanghai’s Jin Jiang International Hotels Group Company Limited.